C/ Jovellanos 2, 7458 Can Picafort, Spanje. Every year hundred of customers come back to this quiet hotel, thanks to the family environment offered by the staff and the facilities od Grupotel Montecarlo. 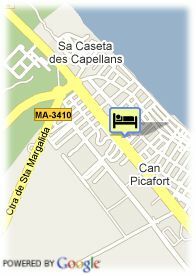 Cozy and spacious, it offers all the comforts for being in the centre of Ca´n Picafort. This hotel is located just 300 meters away from the white sandy beach of Can Picafort, and it is just one of the may Grupotel hotels in the island. The hotel offers a conference room of 160 m2 and natural light, perfect for a meeting close to the beach. 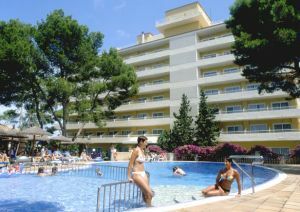 Its refurbished rooms are wide and comfortables, equipped to enjoy them any time of the year.